The histories of many towns in New Zealand are associated with the exploitation of a single resource, so "gold towns", "coal towns" and "timber towns" can be found in many parts of the country. However, there is only one settlement in New Zealand that can be appropriately described as a "flax town" and that is Foxton. Other parts of New Zealand certainly made use of the native flax plant (Phormium tenax) during the 19th and early 20th centuries, but such exploitation was on a small scale and for only short periods of time. Foxton was the only town in New Zealand to become the centre of a large-scale flax industry for a long period of time and the only town to become so dependent upon the flax plant that its prosperity rose and fell in accordance with the market prices of flax fibre. For over 80 years - from 1888 to 1974 - the production of flax fibre was Foxton's principal source of income and three generations of workers found employment in the swamps and mills of the district. Although the start of Foxton's dependence on the flax industry dates from 1888, the town's association with the flax plant goes back to the earliest days of European settlement in the district. During the 1840s and 1850s pioneer ropemakers such as Thomas Bevan, Stephen Charles Hartley and James Nash purchased flax fibre from the local Maori people and added to its re-sale value by spinning it into cordage, which was sold in Wellington for either local use or for export to Australia. The principal items of manufacture were wool lashings, white rope, clothes line, tether rope, halter rope, lead line, fishing line and balls of twine. The mechanical aids used in this industry were of the simplest kind. The Maori people extracted the fibre from the leaf of the flax plant by either scraping it with a mussel shell (the traditional method) or by scraping it over a piece of iron secured in the ground or fastened to two upright posts (the "modern" method), while the Pakeha ropemakers spun the fibre into ropes and twines by means of a large wooden wheel (about the size of a bicycle wheel), which was held in a vertical position by a wooden frame. Motive power for this spinning process was pro­vided by the ropemaker's assistant, who turned the wheel by hand, while the ropemaker himself spun the ropes by walking backwards away from the revolving wheel. The place at which this process was carried out was known as a "ropewalk" and consisted of an area of level ground about 3 or 4 chains in length. About 10 ropewalks are known to have been established along the banks of the Manawatu River (between Foxton and Moutoa) during the period from 1847 to 1870, but the maximum number operating at any one time was only five or six and the total amount of fibre that they utilised was probably no more than 200 tons per year. However, the industry drew the attention of European settlers to the economic poten­tial of the flax plant and laid the foundation for later exploitation. In 1867 an Auckland engineer invented a machine which extracted fibre from the flax plant by beating the leaves between two metallic surfaces - a revolving metal drum (equipped with beaters) and a fixed metal bar. The drum revolved at high speed (over 1000 revolutions per minute) and the metal beaters on its circumference struck the leaves with such force and rapidity that the non-fibrous tissue was stripped away from the strands of fibre. The leaves were held in position be­tween the beating drum and the beater bar by two metal rollers, which revolved at a slower speed than the beating drum. This machine (which became known as a "stripper") heralded the beginning of large-scale production of flax fibre, for it could produce up to five hundredweight (560 pounds) of fibre in one day, whereas one Maori labourer (utilising a mussel shell or iron scraper) could hand-­dress only about two pounds of fibre in the same period of time. Subse­quent improvements to the stripper greatly increased its output and by 1890 most machines were capable of producing 15 hundredweight of fibre per day. The invention of the stripper quickly led to the development of a substantial export trade and the establishment of flax dressing factories in many parts of New Zealand. These factories were known as flaxmills and were usually situated in close proximity to a flax swamp and on the banks of a river or stream, for a good supply of running water was needed to wash the fibre after it had emerged from the stripper. Most of these early flaxmills were powered by steam engines, but some utilised water wheels, or were driven by horses walking in a circle. The principal markets for the fibre were Britain, United States of America and Australia, where cordage companies spun the fibre into ropes and twines. However, New Zealand flax had to compete against other high-quality fibres, which could usually be produced in greater quantities and at a lower cost than the New Zealand product. The most important of these competitors were manila fibre (from the Philippine Islands) and sisal fibre (from Central America and East Africa) and market prices for New Zealand flax were subject to great fluctuations according to the availability of these rival fibres. This resulted in the flaxmilling industry experiencing a series of "booms" and "slumps", which are reflected in the history of the industry in the Foxton district. The first flaxmills on the banks of the Manawatu River were estab­lished in 1869, when a shortage of manila fibre on the world market pushed up the price of New Zealand flax. Charles James Pownall (an English entrepreneur) built a large steam-driven mill in Harbour Street, Foxton, utilising stripping machines of his own invention, while John Davies (a local ropemaker) operated a small horse-driven mill at Wiro­kino, using a stripper manufactured by a Wellington engineer. Four other mills, powered by either water wheels or steam engines, were subsequently established in the vicinity of Shannon and Moutoa by local farmers and ropemakers, but all these ventures were forced to close in 1873, when market prices slumped and the flaxmilling industry entered a period of depression. The closure of these mills appears to have had little effect upon the prosperity of Foxton, for the town was experiencing a period of rapid growth as a transport and communications centre for the Manawatu region. With the establishment of a Government wharf and railway, Foxton became the gateway to Manawatu for a wave of European set­tlers, who moved inland to develop the heavily forested land of the Palmerston North and Feilding districts. The first product to be ex­ported from these districts was sawn timber, which passed through the port of Foxton on its way to markets in Wellington, Nelson, Christ­church and other parts of New Zealand. By the late 1880s, however, this period of prosperity was coming to an end, largely because of the opening of the railway line between Wellington and Longburn in 1886. This new line of communication greatly stimulated the development of inland localities and resulted in a decline in the traffic passing through the port of Foxton. For a while it seemed that the future of the coastal town would rely upon the develop­ment of pastoral farming in its immediate hinterland (the subdivision of large estates to the north and the drainage of large swamps to the south and east), but then the price of flax fibre on world markets suddenly took an upward swing and Foxton found a new identity as the "flax town" of New Zealand. In 1888 a shortage of manila fibre coincided with a demand for binder twine in the United States of America and prices for New Zealand flax rose to over £35 per ton on British and American markets. With the cost of production averaging between £15 and £20 per ton, flaxmilling be­came an attractive proposition for many businessmen and mills began to spring up wherever an adequate supply of green leaf and good transport facilities were available. The first new mill to be opened in the Foxton district was owned by John Rutherford, a flourmiller of Brightwater, Nelson, who had diversi­fied his business interests to include flaxmilling during the first "boom" in the early 1870s. Rutherford brought a 10 horsepower steam engine and flax stripping machinery to Foxton in March 1888 and established a small mill on the left bank of the Awahou Stream, fronting on to Cook Street (on the site later occupied by the Foxton gasworks). Flax was obtained by horse and dray from the western edges of the Moutoa swamp (near the site of the present Wirokino bridge) and the mill was in full production by May 1888. Unfortunately, a fire in the scutching shed caused a severe setback to the business in August 1888, but the mill was subsequently re-opened on the riverbank in Stewart Street (in the vicinity of the present rubbish tip). A second stripper (in a separate building) was erected alongside this mill early in 1889 and by March of that year Mr Rutherford was one of the largest employers in Foxton, providing work for about 60 men and paying £200 a month in wages, £200 a month for green flax and a further £100 a month for other expenses. Hard on the heels of Mr Rutherford was a Wellington hardware merchant named Robert Gardner, who also established a mill at Foxton in 1888. Gardner's mill was situated on the riverbank about one mile upstream from the present rubbish tip, on a farm owned by Charles Symons, and obtained flax from the swamps on that farm. This venture proved so successful that Mr Gardner sold his hardware business in 1889 and purchased a 438 acre block of land at Haumearoa, on the north bank of the Manawatu River, some 12 miles upstream from the town of Foxton. Here he established a large new flaxmill, adjacent to the site occupied some 40 years earlier by the Kebbell Brothers' sawmill and flourmill. Mr Gardner named his property the Paiaka Estate and oper­ated it as a combined flaxmilling and farming venture for 12 years. A large and comfortable bunk house was built to accommodate the em­ployees, who were also provided with a large recreation room equipped with a piano and library, making the Paiaka mill one of the best­ equipped and most popular in the district. the Manawatu Herald newspaper calculated that if each ton of fibre was sold to Wellington merchants for £20 per ton "there is coming as outside cash into the town some £240,000 a year, out of which there has to go to the labouring population £150,000, which is in its turn divided amongst the storekeepers and other businesses, leaving also a portion to be retained by saving; and also leaving £90,000 a year to go to the owners as wages, outlay on machinery, repairs, carriage and profit. So many of the mill owners, being either farmers or the sons of farmers in this district, it will be fair to assume that a large part of their profits will be retained here and re-divided by improvements on their freeholds. It is a matter for most sincere congratulations that these sums are not idle estimates, but solid facts which can be tested by the most simple". The impact of the flax industry was clearly visible at the Foxton wharf, where shipping arrivals increased dramatically from 122 in 1888 to 246 the following year. The incoming cargo was principally coal from Greymouth and Westport, required to fuel the locomotives on the Fox­ton railway and the steam engines of the flaxmills, for each flaxmill engine required about three-quarters of a ton of coal each day. The outgoing cargo consisted mainly of bales of fibre, consigned to the merchants of Wellington for shipment to overseas markets. One of the largest of the Wellington merchant firms (Levin and Com­pany) developed a close association with the Manawatu flax industry at this time and added an extra vessel to its fleet of coastal steamers to service the flax trade. She was the s.s. Queen of the South (121 tons), who made her first trip to Foxton in October 1889 and was a regular, trader for the next 30 years. Other vessels which commenced a regular trade as a result of the flax industry were the Aorere, the Murray, the Waverely, the Kennedy and the Charles Edward, all owned by the Anchor Steam Ship Company of Nelson. It is interesting to note that the majority of flaxmills established during the "boom" of 1889 did not obtain their flax from the large Moutoa swamp (between Foxton and Shannon), but utilised the re­sources of the sand country which lay between the Rangitikei and Manawatu rivers, to the north of Foxton. The reason for this lay in the transport facilities available to millers, for the Moutoa swamp was accessible only by river and road, whereas the sand country to the north of Foxton was serviced not only by the Government-owned rail­way between Foxton and Palmerston North, but also by the light rail­way known as the Sanson Tramway, which was owned by the Manawatu County Council and which linked the town of Sanson with the Foxton-­Palmerston North railway. The existence of this railway network en­abled millers to exploit the stands of flax which grew on the swampy flats between sand ridges in the localities known as Carnarvon, Oroua Downs, Bainesse, Oroua Bridge (Rangiotu) and Himatangi. The railway carried coal and other provisions from Foxton to the station nearest the flaxmill and then transported the bales of fibre from the station to the port of Foxton, while a horse and dray owned by the flaxmiller con­veyed goods between the station and the mill. Some mills were fortun­ate enough to be situated in close proximity to both railway and swamp, but most mills were located some distance from a railway station on the edges of lagoons and streams adjacent to the flax swamps. Those mills which utilised flax from the Moutoa swamp (between Foxton and Shannon) were situated on either the northern and eastern edges of the swamp (adjacent to the Foxton-Shannon road) or in the town of Foxton itself (in Harbour Street and Stewart Street). These latter mills cut flax from the western edge of the Moutoa swamp (adjacent to the present Newth Road and State Highway No. 1) and trans­ported it to Foxton by horse and dray. However, in 1889 two enterpris­ing local contractors named Andrew Jonson and Samuel Howan built a small steam launch of about 10 horsepower and some of the Foxton millers began to use this vessel to bring green leaf from the swamps near Wirokino to the town. This launch, which was named the Ivy, also carried coal up the river to Gardner's flaxmill at Paiaka and trans­ported Gardner's fibre down the river to the Foxton wharf. Unfortunately, the "boom" of 1888-89 did not last long. As increased quantities of manila fibre reached world markets, the prices for New Zealand flax began to fall and by June 1890 the London market had sunk to £19 per ton. This led to a gradual closing of the Foxton flaxmills and by October 1890 only six mills were still at work. Several millers found themselves in severe financial difficulties and were obliged to face the embarrassment of having their affairs re­ported in detail in the Manawatu Herald newspaper, which seems to have sent a reporter to every meeting of creditors that it heard about. A typical case was that of Stuart, Sutton & Co, flaxmillers of Taikorea, who had liabilities amounting to £1048 and assets consisting of one flaxmill, 21 bales of flax, two drays, two horses and harness. Mr Sutton offered his creditors six shillings and eight pence in the pound (cash) and those present at the meeting agreed to accept the offer. Above: Tramming flax to the riverbank at Moutoa Swamp on Coley and Bock's swamp block. Above: The steam launch "Planet" with two puntloads of flax from the Moutoa wsamp - 1902. By February 1891 the effects of the depression were clearly visible to a reporter from the New Zealand Times newspaper (Wellington), who noted the "absence of briskness" in the retail trade of Main Street, Foxton. "Numbers of buildings are to let," he observed, "and nearly all the businesses which were established during the boom have been dis­continued, unoccupied shops being a prevailing feature." The flax market remained depressed from 1890 to 1898 and during this period the majority of flaxmills in the Foxton district were disman­tled and removed. However, the better capitalised and more efficient mills were able to keep operating on an intermittent basis, closing when prices were too low for profitability and then reopening when the mar­ket improved slightly. In this way Foxton was able to retain its identity as a "flax town" and in 1897 the Cyclopedia of New Zealand described flax as the "staple industry" of the town. In that year there were seven flaxmills at work in the district, employing some 210 men (which was about one-fifth of the total population of Foxton). Those millers who survived in business became aware of the need to work together to promote the industry and improve the quality of their product. In 1893 a Flaxmillers Association was formed, with Robert Gardner (of the Paiaka mill) as chairman. This association urged the Government to take a greater interest in the flax industry and advo­cated the sending of a flax expert to Europe and America to investigate market requirements, the provision of financial incentives for improved methods of flax-dressing, and the introduction of compulsory grading of all flax fibre prior to export. The Government eventually agreed to the first two requests, but declined to introduce compulsory grading, so the association established a voluntary grading system of its own at the, port of Wellington. However, the association's greatest achievement was the arousing of public concern over the preservation of flax on the Moutoa Estate, a 9000 acre property situated between the north bank of the Manawatu River and the Foxton-Shannon road. This property had been purchased in 1872 by Mr Falconer Larkworthy, the managing director of the Lon­don board of the Bank of New Zealand, who subsequently expended a large amount of money on developing the property for grazing pur­poses. However, Mr Larkworthy's venture was not a financial success and in 1889 he was obliged to transfer the land to the Bank of New Zealand, who held a mortgage over the property. The new owners administered the property through the Bank of New Zealand Estates Company Limited, which continued to graze sheep and cattle on the property but also began to sell flax to some of the Foxton millers. Above: Unloading flax from a punt at King and Co's Foxton Mill (1912). The s.s. "Planet" is working at Berry's Awa Mill in the background. In 1895 the Bank of New Zealand experienced financial difficulties and was reconstituted and refinanced by the New Zealand Government. The Moutoa Estate was then transferred to the control of the Assets Realisation Board, which sought to improve the financial returns from the property by embarking on a programme of clearing the flax and converting the swamp into pasture. This action greatly alarmed the Flaxmillers Association, for flax was rapidly disappearing from many farm properties throughout the district and the Moutoa swamp was seen as the only area capable of supplying large quantities of green leaf for future use. The flaxmillers requested the Foxton Borough Council to take up the matter on their behalf and on 8 February 1897 the council resolved "that the Minister of Lands be respectfully requested to purchase 2000 acres of the Moutoa Estate for the purpose of conserving same for the green flax that is growing on it, as it is one of the principal staple trades of the district". The council also suggested that once the land was under Government control it could be leased to local flaxmillers. When the Government failed to show any interest in this proposal and the Assets Board continued to destroy the flax, the Borough Council decided to mobilise public opinion by calling a public meeting to discuss the issue. This meeting (held on 11 August 1898) was attended by about 300 people and unanimously supported a resolution requesting the Gov­ernment "to pass immediate legislation so that the flax land on the Moutoa Estate may be acquired and leased to the flaxmills in the district". A deputation of 29 prominent Foxton businessmen (led by His Worship the Mayor, Mr J.R. Stansell) subsequently waited upon the Prime Minister and the Minister of Lands in Wellington and conveyed the resolution to them in the form of a petition signed by 392 residents of Foxton. As a result of this pressure, the Assets Realisation Board (on which the Government was represented) decided to stop the destruction of the flax for the time being, but the Government still refused to purchase the estate. However, by this time market forces were working in favour of the flax plant, for in 1898 the price of flax fibre began to rise dramatically and a new flaxmilling "boom" was underway. This new "boom" was a direct result of the Spanish-American War of 1898, which involved the United States of America wresting control of the Philippine Islands from Spain. This war upset the economy of theislands and resulted in a reduced output of manila fibre, which led to an increased demand for alternative fibres and a consequent rise in the price of New Zealand flax. At the beginning of 1898 the London market was paying £15-£16 per ton for flax; by May the price had increased to £22 and by July it had reached £26. Existing flaxmills took on extra staff and started night shifts and new mills began to spring up in all parts of the district. To the north of Foxton, four mills were established in 1898-99 on the sand country of Carnarvon, Oroua Downs and Himatangi, and a further two were opened at Oroua Bridge (Rangiotu). All these mills conveyed their fibre to Foxton on the railway system and received their coal and other provisions in the same way. To the south of Foxton, two mills were built in 1899 on the left bank of the Manawatu River at Wirokino, while a further two were estab­lished inland near Poroutawhao. The fibre from these mills was con­veyed to Foxton by horse and dray, via the newly opened Wirokino bridge. In Foxton itself, four new mills were established in 1898-99 in Har­bour Street, one by local storekeeper Phillip Hennessy, one by local agricultural contractors Hickson & Reeve and two by the Austin brothers (Herbert, Charles and Oliver, who had been engaged in flax­milling with their father since 1890. 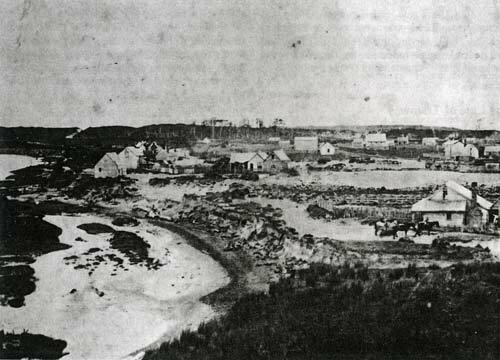 This brought the number of mills in Harbour Street to six, all of which obtained their flax supply from the Moutoa Estate. In 1898 fears were expressed that the "boom" might be shortlived, but two years later prices were still high, 25 mills were in operation throughout the district and about 750 men were employed in the indus­try. The New Zealand Flaxmillers Association (led by Herbert Austin) renewed its call for the introduction of a compulsory system of grading for all fibre and achieved success in 1901, when the Government passed legislation to prohibit the export of all ungraded fibre (which was referred to as New Zealand hemp). The Department of Agriculture appointed hemp graders to the major New Zealand ports and all bales of fibre were inspected and graded prior to export. This system enabled overseas buyers to purchase fibre of uniform quality and greatly in­creased the standard and reputation of the New Zealand product. A growing confidence in the future stability of the flax industry was reflected in the development of swamp lands for flaxmilling purposes. In 1902 a group of Wellington businessmen purchased the 12,000 acre Makerua swamp from the Wellington and Manawatu Railway Company and set about stimulating the growth of flax by constructing a network of large drains to lower the water level. This swamp was situated on the south-east bank of the Manawatu River (between Shannon and Linton) and was practically untouched by flaxmilling activities prior to 1902. However, the drainage programme created a magnificent crop of flax and between 1904 and 1914 about 16 flaxmills were established on the edges of this swamp, which became the largest commercial flax grow­ing area in New Zealand. The majority of these mills were situated on the eastern side of the swamp, adjacent to the Wellington-Longburn railway, and stimulated the economies of Shannon, Tokomaru and Linton, but two large mills which cut flax from the western edges of the swamp were situated on the Foxton side of the Manawatu River and played an important part in the economy of Foxton. These mills were the 4-stripper "Whitaunui" (built 1910) and the 2-stripper "Poplar" (built 1912), both situated at Moutoa, close to the Foxton-Shannon road. These mills used wire ropes to carry their green flax across the Manawatu River and carted their bales of fibre by horse-drawn wagon to the Foxton wharf. The enterprise shown by the developers of the Makerua swamp was emulated in the Foxton district in February 1903, when a partnership of three men purchased the Moutoa Estate from the Assets Realisation Board for the sum of £66,975 (paying 10% in cash and the balance by annual instalments over 10 years). These men were John Stevens, Frederick Spencer Easton, and Herbert Austin. At 58 years of age, John Stevens was the major shareholder in the partnership and the organiser of the transaction. He was a wealthy Rangitikei landowner, with a background of farming and auctioneering, and had been Member of Parliament for Rangitikei (1893-1896) and Manawatu (1896-1902). He had also been a strong supporter of the Foxton campaign of 1897-98 to stop the Assets Board from destroying the flax on the Moutoa Estate. Frederick Easton and Herbert Austin (aged 32 and 30 years of age respectively) were the junior members of the partnership, but were ambitious and hard working men with practical experience in flaxmill­ing. Easton was the son of a successful Foxton butcher (A.S. Easton) and entered the flax industry in 1900, owning a succession of small mills at Himatangi, Wirokino and Bulls, while Austin was the son of a Foxton flaxmiller and had been engaged in the trade since 1890. In May 1903 Stevens, Easton and Austin subdivided and sold that portion of the estate which was in pasture (5000 acres adjacent to the Foxton-Shannon road) and utilised the proceeds to develop the swampy portion of the property (some 4000 acres) for flaxmilling purposes. A drainage programme was undertaken to stimulate the growth of flax and by 1906 the estate was supplying green leaf to seven mills in Foxton, each of which was cutting about 200 tons per month and paying a royalty of £1 per ton. In addition to this royalty, each miller also paid the estate £300 for the right to cut flax. The Moutoa Estate proved to be a very profitable investment for Stevens, Easton and Austin. Between 1903 and 1936 the partnership made a net profit of £195,000, or an average of over £5900 per year. The success of the venture is also demonstrated by the large homesteads built by Mr Easton and Mr Austin on the Foxton-Shannon road, and by the substantial business interests developed by Mr Easton, who has passed into local legend as "the Moutoa millionaire". He became the sole owner of the Moutoa Estate in 1936 and sold the property to the New Zealand Government three years later. The financial success of the Moutoa developers was resented by a section of the Foxton community, who felt that the swamp should have been sold to a number of flaxmillers, rather than falling into the hands of a syndicate of three. However, it should not be forgotten that the Assets Realisation Board offered the estate to several local flaxmillers in 1902, but these millers declined to purchase because of a fear that the flax market would slump again. John Stevens was a wealthy man and could probably have afforded to lose money on the Moutoa invest­ment, but Herbert Austin and Frederick Easton risked everything they owned when they decided to join Stevens in the purchase. They had the courage that others lacked. The development of the Moutoa Estate as the principal supply of flax for the mills of Foxton led to the growth of a fleet of river launches, which carried green leaf from the swamp to the mills in Harbour and Stewart streets. These little launches were a picturesque sight on the river and played a valuable part in Foxton's economy in the days before motor trucks became available for heavy transport. The river launches were small wooden vessels, 30 to 50 feet in length and with a draft of 3 to 4 feet, which enabled them to travel over 20 miles upstream from the Foxton wharf even when the river level was very low. They were powered by steam engines, ranging in size from 8 to 30 horsepower, and carried a crew of one captain (known as the "skipper"), one engine driver (known as the "engineer") and one or two deckhands. The cargo of green leaf was not carried in the launch itself, but was loaded on board a large wooden punt, which was towed along­side the launch. Each punt was about 40 feet long, 8 feet wide and 4 feet deep and could carry a load of 30 to 40 tons of leaf. The larger launches could tow two punts (one on either side), but the smaller vessels could manage only one. The servicing of riverbank flaxmills by means of river launches commenced with the Ivy in 1889, but reached its peak during the third "boom" of the flaxmilling industry. By 1900 there were six launches at work, the Planet and the Florence (owned by William Jupp), the Nina and the Matara (owned by Edwin Howe), the Flower of Kent (owned by Robert Fraser) and the Ino (owned by William Anderson). By 1904 Mr Jupp had complete control of the river service and was operating five launches (Planet, Kate, Nina, Matara and Speedwell), which were ser­vicing about 12 mills situated along the river between Foxton and Maro­tiri. These launches not only carried green flax downstream to the Fox­ton mills, but also carried coal and other provisions upstream to the mills at Wirokino, Paiaka, Shannon ferry, Moutoa and Marotiri, as well as carrying bales of fibre downstream from these latter mills to Foxton. In 1905 Mr Jupp sold the fleet of launches to the Wellington merchant firm of Levin and Company, who continued to operate the business under the name of the Manawatu River Service, with William Signal as its manager. The Matara and Planet were destroyed by fire at the Foxton wharf in 1908 (the work of an arsonist), but were replaced by a new Planet. Later additions to the fleet were the Taihoa, the Merlin and the Maidi. The third flax "boom" saw a major increase in the number of coastal vessels trading to the port of Foxton and it became a common sight to see three or four steamers at the wharf at the same time, unloading coal and taking in bales of fibre. Levin and Company's Queen of the South and the five ships of the Anchor Steam Shipping Company were familiar sights from the 1889 "boom", but to cope with the increased trade four new vessels were introduced by Levin and Company - the Gertie (119 tons) in 1898, the Himitangi (149 tons) in 1899, the Baden Powell (120 tons) in 1904 and the Awahou (151 tons) in 1912. Other steamers which began a regular trade to the port during this period were the Putiki (151 tons), the Wairau (93 tons) and the Kapiti (114 tons). In 1907 the Department of Agriculture appointed a full-time hemp grader to the port of Foxton and to provide adequate facilities for his work two large storage buildings were erected adjacent to the wharf and railway yards. One was owned by Levin and Company and was situated at the downstream end of the wharf (on the site now occupied by the Awahou Bowling Club's building), while the other was owned by the New Zealand Shipping Company and stood on Harbour Street (on what is now a vacant section at the rear of the Borough Council offices). Above: Flax fibre (tow) being dried and bleached in the fibre paddocks. Above: Foxton wharf and railway yards about 1908. The three gabled building on the left is the N.Z. Shipping Co.'s hemp grading and wool store. At the wharf is s.s. "Baden Powell". The Levin and Company storage building was the larger of the two and contained 18,000 square feet of floor space. Fibre arriving at this store by rail was carried into the building on a siding and unloaded on a platform in the centre of the store, while fibre arriving by river launch was unloaded on a jetty at the side of the building. Two additional jetties (each 20 feet in length) were designed to fit the hatches of the Queen of the South and the Himitangi and were used for loading bales of fibre into the holds of these ships. Two of the leading figures in the flax industry during the third "boom" were William Ross and his son Alexander, who came to Foxton in 1906. They were mechanical engineers by trade and had owned and operated woollen mills and rope factories in Invercargill and Napier. The availability of flax fibre attracted them to Foxton, where they established a large rope and twine factory in Johnston Street. This building contained about 20,000 square feet of floor space and was powered by an 80 horsepower gas engine. The factory employed about 40 people (mostly women and girls) and produced about 40 tons of finished goods per month. The rope factory was destroyed by fire in 1909, but was rebuilt on the same site and continued in operation until 1916, when it was converted into a flaxmill. The Ross family invested their capital in a number of flaxmilling ventures in the Foxton district and other parts of the North Island and were keen supporters of experiments to improve the efficiency of flax dressing machinery. William Ross was owner of the "Poplar" mill at Moutoa from 1912 to 1925, while Alexander was managing director of the Foxton Cordage and Flaxmilling Company Limited and A. Ross, Rough and Company Limited in the period between 1914 and 1929. This last-named company became the largest flaxmilling concern in Foxton in the years between 1920 and 1940, owning the 4-stripper "Ora" mill in Johnston Street (the old ropeworks) and the 2-stripper "Huia" mill in Harbour Street, as well as swamp land at Koputaroa, Poroutawhao and Pukepuke Road (Himatangi). The other major shareholders in the firm of A. Ross, Rough and Company Limited were George Rough (a mechanical engineer), David Ogilvie (an accountant) and Bernard Wood (a Christchurch fibre mer­chant). George Rough had worked for the Ross family in Invercargill and Napier and came to Foxton in 1906 to supervise the mechanical operations of the rope factory. He was 'a clever mechanical engineer and played an important role in the practical operations of all the mills with which he was associated. Foxton reached its zenith as a flax town during the First World War (1914-1918), when the military demand for cordage in Europe pushed the price of New Zealand flax to record heights. Prices on the London market rose steadily from £25 per ton in 1915 to £48 in 1917 and peaked at £58 in 1918. The flaxmills of Foxton were working day and night during this period and in the four years between April 1915 and April 1919 a total of 166,000 bales of fibre passed through the grading stores at Foxton (equivalent to 33,200 tons). Most of this fibre was produced by the 11 flaxmills situated within the Borough of Foxton, eight of which were located on the riverbank and the remaining two on the land between Harbour Street and John­ston Street. Charles James Pownall and Johnston & Co. Ltd.
Robert Austin; Austin Brothers (Charles, Herbert, Oliver). Joseph Bradcock & Messina; Joseph Bradcock & George Coley; George Coley; Manawatu Fibre Manufacturing Co. Ltd. (Harry Greig); Whitaunui Ltd. (Harry Greig); Coley Brothers (George and Henry); Ora Flaxmilling Co. Ltd. (A. Ross); Foxton Cordage & Flaxmilling Co. Ltd. (A. Ross); A. King & Co; Carl Johannes (Charles) Petersen; Leonard McCarthy. Alexander Speirs; Dudson Brothers; King and Baker (Abraham King and Arthur Baker); Gaius Brewer; A.R. Macdonald. Austin Brothers (Charles and Herbert); Oliver Austin; Coley and Bock (Henry Coley and Walter Bock). Phillip Joseph Hennessy; William Jupp; Awahou Milling Co. (William Ross); Henry Berry. Austin Brothers (Charles and Henry); Oliver Austin; Coley and Bock (Henry Coley and Walter Bock). Hickson and Reeve (Samuel Hickson and Arthur Reeve); Broad and Reeve (Edmund Broad, Arthur Reeve and Samuel Hickson); Joseph Rose; William Petrie; Huia Flaxmilling Co. Ltd. (A. Ross, Rough and Co. Ltd.). George Coley; Coley and Bock (Henry Coley and Walter Bock); A. King and Co.
William Jupp; Manawatu Fibre Manufacturing co. Ltd. (H. Greig); Whitaunui Ltd (H. Greig); Ora Flaxmilling Co. Ltd. (A. Ross); Foxton Cordage and Flaxmilling Co. Ltd. (A. Ross); Henry Berry. William Ross and Son Ltd; Foxton Cordage and Flaxmilling Co. Ltd.
Coley and Bock (Henry Coley and Walter Bock); William Nye; A. Ross, Rough and Co. Ltd; Westwood Bros (Garnet, Reginald and Ernest). N.Z. Hemp Process and By-Products Co. Ltd.; Whakapai Fibre Co. (Alexander Speirs and Albert Gibbs); Robert McMurray; A. Ross, Rough and Co. Ltd. Originally rope factory owned by William Ross and Son Ltd and Foxton Cordage and Flaxmilling Co. Ltd. Foxton Cordage and Flaxmilling Co. Ltd; A. Ross, Rough and Co. Ltd; N.Z. Woolpacks and Textiles Ltd.
N.Z. Woolpack and Textiles Ltd; Stevens-Bremner (N.Z.) Ltd. Above: Moving from south (from right to left( they are the Foxton (A. King), Awa (H. Berry), Huia (Ross, Rough and Co.), Kowhai (W. Bock), and Matipo (W.Nye). "The treatment of flax refuse from the mills must also be taken in hand. There is no less than eight tons of refuse from every nine tons of green flax. Scientists have informed the Committee that the whole of this waste contains valuable constituents such as commercial alcohol and potash. It is recommended that a bonus be offered, payable on the production of a marketable commodity." But no such saviour was to appear. All aspects of the flax industry were to share in the decline. The reduced cut from the Moutoa Swamp because of disease saw profits begin to fall and consequently less money was spent on mainte­nance. The spread of willow, fescue, raupo and other vegetation re­duced the flax area considerably. For the river services there was not only the problem of less fibre being cut but also the increased use of road transport for carrying the flax to the mills in Foxton. By 1925 the only launches left on the flax run were the "Merlin" and the "Maidi". The number of mills operating in the district fell from eleven in 1919 to seven in 1925 and to three by 1935. Shipping and wharf facilities began to decline not just because of economics but also by accident. The wrecking of the "Queen of the South" meant only the "Kennedy" and the "Waverley" continued to trade regularly. In 1922 the Levin and Co. grading store at the wharf was destroyed by fire and from that date all grading had to be done at the N.Z. Shipping Co's store. Levin and Co's site was used for the Harbour Board's shed in 1925 and this is now the home of the Te Awahou Indoor Bowls Club. A cut in freight charges by N.Z. Railways in 1930 saw all the fibre being taken to Wellington by rail. 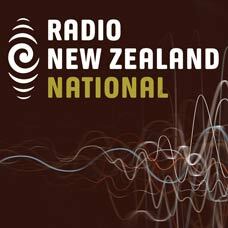 The destruction, again by fire, of N.Z. Shipping Co's grading store in 1933 spelt the end of fibre grading services locally and all fibre was graded in Wellington from then on. Although the Depression is usually referred to as being in the thirties its early stages were apparent in the twenties. In the case of the flax industry the first signs came in 1928 when the question of the indus­try's profitability was raised by the mill owners. A meeting with their employees saw an agreement reached to reduce wages by ten per cent while the price of fibre was below 27 pound 10 shillings per ton. The Union would not accept this and mills were closed until the Arbitration Court ruled in the Union's favour. As the thirties came so did increasing unemployment. The mill owners saw reduced wages or an Unemploy­ment Board subsidy as the only things that could keep them open. The situation came to a head when at the end of 1930 the Arbitration Court agreed to a 33⅓ per cent cut in all flax industry wages. The decision incensed the Union officials and meetings were held in Shannon and Foxton which rejected the decision outright. As with all decisions sides were taken but in this case the widespread unemployment of the work­ers added another aspect. The mill owners saw the cuts as necessary, some citizens supported the refusal to work at the new rates (e.g. Union Secretary P.T. Robinson and L. Sim of the Unemployed Workers Move­ment) while others such as E.G. Martin saw a return to work as the only logical move for those whose wives and families were facing starvation. The No. 5 Scheme which helped local bodies provide employment saw most of the Foxton unemployed at work by February 1931 but this was only a short lived situation. Some mills continued to work but the price being received on the London market remained low and people such as J. Linklater M.P. pushed the need for a subsidy for the industry. The half yearly meeting of the Manawatu Flaxmill Employees Union in May 1931 decided to lift the ban on accepting work at the award rate of 10 shillings per day. In June the Arbitration Court announced a nationwide wage cut of 10 per cent but thankfully exempted the Manawatu Flaxmill Employees who had aready had the massive 33⅓ cut. Good news came when the Unemployment Board decided to offer a subsidy of 3 pound per ton for exported fibre. Ross, Rough and Co. took advantage of this offer to re-open their mill. The establishment of the Development of Industries Board encouraged new ideas in the flax industry. Those with the most promising prospects seem to have been those utilising the fibre for producing sacks and woolpacks. Several processes and loca­tions were in the headlines as promoters pushed their views. In 1931 R.D. Coghill of Dunedin met with the N.Z. Flaxmillers Asso­ciation in Foxton to explain to them the process by which he had been able to produce different articles from flax. In 1932 shares were issued in the newly formed N.Z. Woolpack and Textiles Limited and the first meeting held in November. The Company had plans to establish plants in the Auckland, Southland and Manawatu areas but the donation of a four acre site by the then Mayor of Foxton, M.E. Perreau, saw the local plans underway immediately. A report to the Directors of H.D. Sinclair commented favourably on the supply and quality of fibre, the proposed site, Coghill's method of processing and the availability of labour. By April 1933 the site had been prepared by the unemployed and in less than a year J.G. Coates was declaring the completed plant open. At the 1934 A.G.M. it was recorded that 66 were employed at the factory with a similar number working in the mills supplying the fibre. In March 1935 the Directors reported that because of "difficulties which at times seemed insurmountable and which could not have been forseen ... the production of Woolpacks .. . was not commenced in earnest until Au­gust 1934". By the time of this report 207 were employed at the factory and it was intended to increase production so that the "Foxon" wool­packs would provide all New Zealand needs. W. Baker, B. Nye, J. O'Keefe, B. Morris, B. Christie, ? Yorke, G. Newton, ? Madden, J. Coley, B. Broad, L. Coley, J. Newton, B. Coley, C. Withers, G. Baker, D. Haydock, B. Curry, P. Baird, T. Sutton, G. Rough. The 1936 Annual Report indicates the new company was having its problems for included was a section which read "Failing our ability to conclude an arrangement with the government for assistance to dispose of our output for the current year at a price which would cover our manufacturing costs, there would have been no option for the Directors but to cease operations and put the Company into liquidation. We are glad to be able to assure you that this action will now be unnecessary as the details of the carrying on scheme will be finalised with the Govern­ment in the next week or two". Already a step that was to be of great benefit to the Company had been taken, the appointment of F.W. Vicker­man as Managing Director. Over the next few years Government aid included licensing of woolpack imports, a threepenny subsidy per pack, help from the D.S.I.R., and a 20,000 pound grant for machinery (and the appointment of two directors in return). All this did not however, en­sure the success of the enterprise. The Chairman of Directors, A.W. Press, indicated the need to change in the 1939 report. He wrote "In this connection I envisage the making of matting, heavy canvasses, rick covers, cattle covers, floor coverings for use either by themselves or as padding beneath carpets and the like, and many other usages that can from time to time be exploited." (e) the stripping mill of Ross, Rough and Co. was purchased as a going concern. By 1941 the first dividend could be paid although this was a very small one which equated to only ⅛ per cent on the originally subscribed capital. Although there was a shortage of local fibre this was made up by purchasing the entire output of the Wairarapa mills as well as some from Westport. Two mills were also established in the Thames Valley. But one shortage which could not be overcome and that was manpower. Not even the end of the war solved this problem as there was employ­ment available throughout the country. To attract labour two hostels were established. One was for Maori girls, principally from Ratana and Gisborne, and the other for men which also provided a home for many immigrants. Housing for married workers was also short and if this could be offered with employment it ensured labour was attracted to the factory rather than to other employment. Mr Vickerman fought not only for loans for the company to build its own houses but also for the construction of State houses in the town. "The experiment is an interesting one, containing all the elements of a successful compromise between wholly private enterprise on the one hand, and State ownership on the other. It also provides an avenue, in a changing world in which labour demands a say in management, of the State nominating repre­sentatives of labour, who are thus able to obtain at first hand an insight into industrial management and its responsibilities". Development of floor coverings made of flax continued with the aim of making a lighter product in more attractive colours. A new stripping mill was built in 1948 (now Foxton Fries premises), to house six strippers and the old mill, originally purchased from Ross, Rough, was utilised as a fibre and tow store. In the same year Mr E.W. Sutton was given an interesting assignment - to establish a New Zealand flax industry on St Helena in the southern Atlantic. With the expansion of the plant new problems developed. The supply of water for washing at the stripping mill and for removing waste was drastically reduced when the flow through the Loop dropped after the opening of the Whirokino Cut. The lack of washing water was solved by first using the town supply and a softener and later sinking a bore. The question of effluent was not so easily answered. Even though the waste was carried by bridge from the stripping mill to Matakarapa the Loop began to develop an unpleasant "smell". It was reported that in 1952 the smell was so bad it was impossible to work the mill for a week! Perhaps a far greater problem, economically at any rate, was the supply of green flax. Production from Moutoa had fallen away as a result of the change of the swamp environment. This was the result of flood control measures and the answer seemed to be to plant some of the new strains that had been developed, especially those resistant to yellow leaf. De­spite these plantings local supplies were not enough and fibre was obtained from several parts of the country both from mills operated by Woolpacks and Textiles and private millers. Although by the mid sixties Moutoa was producing efficiently, fibre was still being brought in from other areas until woolpack production ceased in 1972. Above: The Duncan Street entrance to N.Z. Woolpacks and Textiles factory in the early fifties. Stacks of tow stand to the right while a truck load waits at the weighbridge. Although the Woolpacks and Textile Company concentrated on the first part of its name in the early years it was diversification into, first, other products, and then other materials, that enabled the company to remain in production for almost 40 years. The production of matting began with the supplying of gunmats to the Royal Navy and this was developed into the phormium matting of the post war years. This hard­wearing and inexpensive matting was a great success and formed the base on which the floor covering division was built. In 1955 the 100 per cent sisal carpet, cordella, was introduced and was an immediate suc­cess. Although not as rugged as phormium, sisal could be produced in a wider and brighter range of colours. A shortage of labour for the weaving department led to the opening of a branch factory in Levin in 1955. This produced woolpacks and the third floor covering developed by the company, brusella. Brusella was a mixture of phormium and rayon and was a haircord type of carpet. In 1956 Woolpacks and Tex­tiles formed Bonded Felts Ltd in equal partnership with Manawatu Carding Co. Ltd. of Palmerston North. The new company's mill in Pur­cell Street manufactured underfelt, padding for furniture and motor vehicles, and fibre for plasterboard production. In 1959 Bonded Felts became fully owned by Woolpacks and Textiles. Exports of floor coverings began when cordella was exported to Au­stralia in 1957 and interest in obtaining overseas markets was main­tained for the rest of Woolpack and Textiles' life. The Levin factory was purchased in 1962 and by then it was producing almost all of the brusella output. During the early sixties a fourth type of carpet was introduced, namely gayleen which was 100 per cent rayon. This move towards manmade fibres continued, for in 1967 a plastic woven mat, "Duramat", was introduced. At the same time experiments with polyp­ropylene and polyethylene for woolpacks were being conducted. By 1969 Japanese complaints about the quality of flax woolpacks, particu­larly in regards the contamination of wool by flax fibres, became known. Although a singeing process was tried the writing was on the wall and the Government moved quickly to end the production of the woolpacks. The town was, of course, shocked at the possibility of major retrenchment at the factory which had up to 400 employees. The town was saved from such an experience by the takeover of Woolpacks and Textiles by Stevens Bremner. The winding up of Woolpacks and Textiles activities was carried out by Bill Hale who, along with Charlie Anderson and Midge Dunn, had been with the company since the first workers were employed in 1933. Bill was general manager, a position he filled after the death of Mr Vickerman in 1951. He was originally employed as an engineer to assist with the installation of plant, but stayed on to even­tually lead the factory through the years of diversification until the time of its sale. Three other first day employees who served until their retirement were Cardie Anderson, Eric Taylor, and Frank Gay. Although the flax industry was all but finished the town looked forward to its next challenge. The firm of Stevens-Bremner took over the assets of New Zealand Woolpack and Textiles in July 1973. The company was owned fifty/fifty by Doug Bremner of Auckland, and J.P. Stevens of the U.S.A. Over the first couple of years, the new owners gradually phased out flax pro­ducts, as well as those made from polypropolene. In their place, the Foxton plant produced tufted woollen carpets. Stevens-Bremner brought to Foxton several aspects of modern industry. The first the locals were to notice was security. Gone was the easy access to all parts of the plant they had been accustomed to, and in its place a security man. Once the initial shock was weathered by both parties, control became less stringent. But security was again beefed up when in 1977-­78 the millitron plant was being installed. In this instance, the high level of security was at the insistence of the company owning the Millitron process. Another aspect of modern business was the regular arrival by air of the executive officers of the company, who were based at head office in Auckland. The multi-million dollar Millitron machine, and its associated com­puterised injection dyeing system, was unique in the Southern Hemis­phere when installed. The process enabled patterns and colour to be put on the carpet after all the other processing had been completed. Howev­er, lack of throughput saw the new company struggling to survive, and in October 1980 they were bought out by Feltex New Zealand. Before this occurred, the Bonded Felt plant was sold to a group of local inves­tors, who continued to produce underfelt from the plant until a dis­astrous fire destroyed it. Feltex have carried out a rationalisation programme and as a result closed down their Kensington plant in Auckland, and moved the Titan dye injection machinery to Foxton, in 1987. The only Feltex plant out­side Foxton producing wool carpet is at Riccarton, where woven rather than tufted carpet, is produced. From depending on the flax bush for its security, Foxton is now to a large extent riding on the sheep's back, for the Feltex workforce of 260 staff means it is, by far, the Borough's largest employer.